Grow a glass garden—and beautify any space with the exquisite decorative items you’ve created. 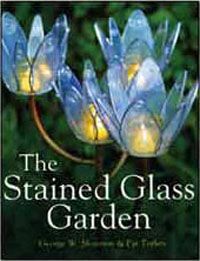 George W. Shannon and Pat Torlen, two master teachers and artists who run the On The Edge Glass Studio, offer patterns for stained glass flowers, butterflies, birds, birdfeeders, planters, lanterns, and mobiles. Using close-up photos, they teach all the basics of both copper foil and lead came construction, from materials and tools to how-to techniques. Includes: Dozens of close-up photographs & a array of glorious patterns.